June 11 is the 162nd day of the year(163rd in leap years) in the Gregorian calendar.There are 203 days remaining until the end of the year. 980 – Vladimir the Great consolidates the Kievan realm from Ukraine to the Baltic Sea. He is proclaimed ruler ( knyaz ) of all Kievan Rus'. 1011 – Lombard Revolt: Greek citizens of Bari rise up against the Lombard rebels led by Melus and deliver the city to Basil Mesardonites, Byzantine governor ( catepan ) of the Catepanate of Italy. 1157 – Albert I of Brandenburg, also called The Bear (Ger: Albrecht der Bär), becomes the founder of the Margraviate of Brandenburg, Germany and the first margrave. 1748 – Denmark adopts the characteristic Nordic Cross flag later taken up by all other Scandinavian countries. 1865 – The Naval Battle of the Riachuelo is fought on the rivulet Riachuelo (Argentina), between the Paraguayan Navy on one side and the Brazilian Navy on the other. The Brazilian victory was crucial for the later success of the Triple Alliance (Brazil, Uruguay, and Argentina) in the Paraguayan War. 1895 – Paris–Bordeaux–Paris, sometimes called the first automobile race in history or the "first motor race", takes place. 1903 – A group of Serbian officers stormed the royal palace and assassinated King Alexander Obrenović and his wife, Queen Draga. 1917 – King Alexander assumes the throne of Greece after his father, Constantine I, abdicates under pressure from allied armies occupying Athens. 1920 – During the U.S. Republican National Convention in Chicago, U.S. Republican Party leaders gathered in a room at the Blackstone Hotel to come to a consensus on their candidate for the U.S. presidential election, leading the Associated Press to coin the political phrase "smoke-filled room". 1963 – John F. Kennedy addresses Americans from the Oval Office proposing the Civil Rights Act of 1964, which would revolutionize American society by guaranteeing equal access to public facilities, ending segregation in education, and guaranteeing federal protection for voting rights. 1964 – World War II veteran Walter Seifert attacks an elementary school in Cologne, Germany, killing at least eight children and two teachers and seriously injuring several more with a home-made flamethrower and a lance. 1968 – Lloyd J. Old identified the first cell surface antigens that could differentiate among different cell types. 1978 – Altaf Hussain founds the student political movement All Pakistan Muhajir Students Organisation (APMSO) in Karachi University. 1987 – Diane Abbott, Paul Boateng and Bernie Grant are elected as the first black MPs in Great Britain. 2008 – Canadian Prime Minister Stephen Harper makes a historic official apology to Canada's First Nations in regard to abuses at a Canadian Indian residential school. 2010 – The first African FIFA World Cup kicks off in South Africa. 2013 – Greece's public broadcaster ERT is shut down by then-prime minister Antonis Samaras. 2015 – Greece's public broadcaster ERT is reopened by then-prime minister Alexis Tsipras. 2018 – United States President Donald Trump and Kim Jong-un of North Korea held the first meeting between leaders of their two countries in Singapore. 2018 – 3 World Trade Center officially opens. In Greek mythology, the Trojan War was waged against the city of Troy by the Achaeans (Greeks) after Paris of Troy took Helen from her husband Menelaus, king of Sparta. 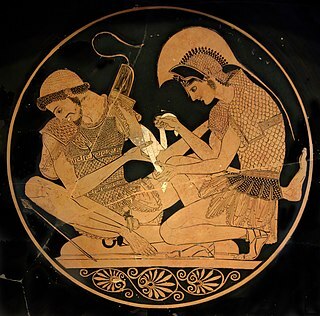 The war is one of the most important events in Greek mythology and has been narrated through many works of Greek literature, most notably Homer's Iliad. The core of the Iliad describes a period of four days and two nights in the tenth year of the decade-long siege of Troy; the Odyssey describes the journey home of Odysseus, one of the war's heroes. Other parts of the war are described in a cycle of epic poems, which have survived through fragments. 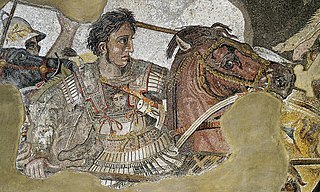 Episodes from the war provided material for Greek tragedy and other works of Greek literature, and for Roman poets including Virgil and Ovid. 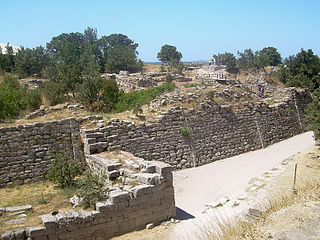 Troy was a city in the far northwest of the region known in late Classical antiquity as Asia Minor, now known as Anatolia in modern Turkey, just south of the southwest mouth of the Dardanelles strait and northwest of Mount Ida. The present-day location is known as Hisarlik. It was the setting of the Trojan War described in the Greek Epic Cycle, in particular in the Iliad, one of the two epic poems attributed to Homer. Metrical evidence from the Iliad and the Odyssey suggests that the name Ἴλιον (Ilion) formerly began with a digamma: Ϝίλιον (Wilion); this is also supported by the Hittite name for what is thought to be the same city, Wilusa. Eratosthenes of Cyrene was a Greek mathematician, geographer, poet, astronomer, and music theorist. He was a man of learning, becoming the chief librarian at the Library of Alexandria. He invented the discipline of geography, including the terminology used today. Year 1403 (MCDIII) was a common year starting on Monday of the Julian calendar. John IV, Duke of Brabant was the son of Antoine of Burgundy, Duke of Brabant, Lothier and Limburg and his first wife Jeanne of Saint-Pol. He was the second Brabantian ruler from the House of Valois. Year 323 BC was a year of the pre-Julian Roman calendar. At the time, it was known as the Year of the Consulship of Longus and Cerretanus. The denomination 323 BC for this year has been used since the early medieval period, when the Anno Domini calendar era became the prevalent method in Europe for naming years. Year 573 (DLXXIII) was a common year starting on Sunday of the Julian calendar. The denomination 573 for this year has been used since the early medieval period, when the Anno Domini calendar era became the prevalent method in Europe for naming years. Barnabas, born Joseph, was an early Christian, one of the prominent Christian disciples in Jerusalem. According to Acts 4:36, Barnabas was a Cypriot Jew. Named an apostle in Acts 14:14, he and Paul the Apostle undertook missionary journeys together and defended Gentile converts against the Judaizers. They traveled together making more converts, and participated in the Council of Jerusalem Barnabas and Paul successfully evangelized among the "God-fearing" Gentiles who attended synagogues in various Hellenized cities of Anatolia. Bartholomew was one of the twelve apostles of Jesus from ancient Judea. He has also been identified as Nathanael or Nathaniel, who appears in the Gospel of John when introduced to Jesus by Philip, although many modern commentators reject the identification of Nathanael with Bartholomew. This is a list of public holidays in Libya. Wikimedia Commons has media related to June 11 .